Our bucket lists just grew by adding this to it. Let's face it. When you're working out, location matters. Sure, you can run stairs or perfect your double under anywhere, but there's something about spinning with a view of the ocean, at the Hotel Del Coronado. 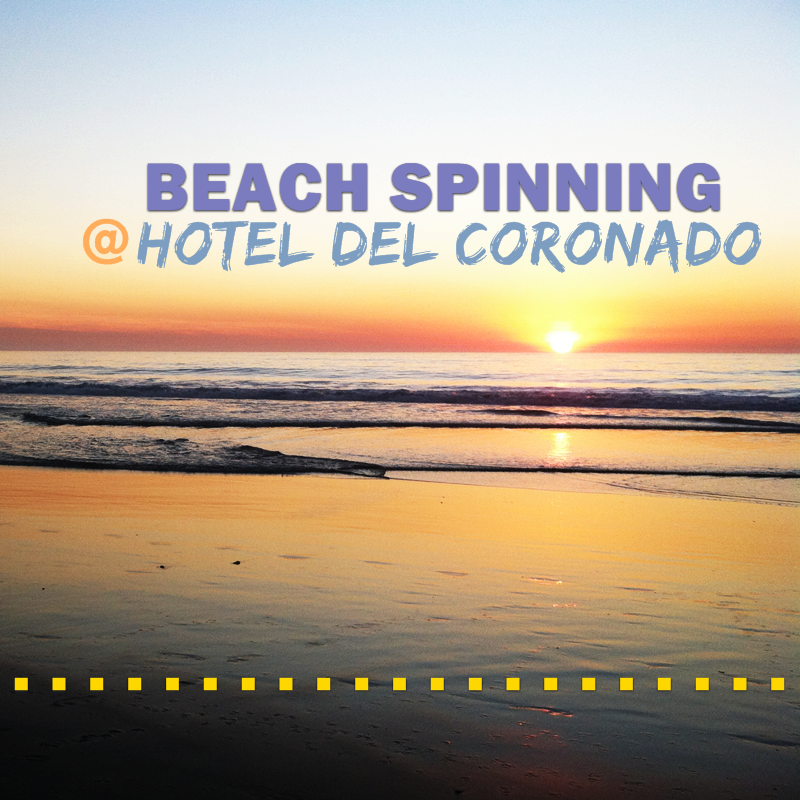 The famed Victorian hotel is now offering Beach Spin on their Paseo Lawn, led by local spin instructors. For $25, you can pedal to your heart's content for 45 minutes wearing special Beats By Dre headphones. The class concludes with 15 minutes of stretching and toning. We've heard that it's a "beautiful and fun workout." They're more than friends - they're Rush regulars. And they gave us the inside dish on why they frequent this amazing boutique cycling studio! If you haven't tried a spin class, this post just may be all the convincing you need. What Do You Love Most About Working Out at The Rush? "I love the energy of all of the instructors. It's infectious and it's literally like a dance party on a bike. Everyone is so welcoming and friendly - I was so nervous trying it for the first time, but I am addicted now and sometimes go twice a day. It's a great full body sweat session!" "I love how upbeat and energetic the instructors are. They make me want to push myself harder when I feel like giving up. The music and theme rides are my favorite. I've always thought spin classes were boring, but that is sooo not the case at The Rush. I look forward to every sweaty ride with my girls! I think it's safe to say we are all #RushAddicts!" "It's hard to pick just one instructor as my favorite! I love Beth for her high energy and how much her classes push me. I always get a great sweat sesh from her class. Also love Angie for her fun spirit, creating a party on a bike! She always makes me feel like I can accomplish the hardest of classes! And then there's Ashley, who has the most inspirational words and says them at the right moment to push me harder! I also love Avery for how fun her classes are and how sweet she is! For my birthday, she added more country songs into class that day. She totally made me feel like I was a part of the #RushFam!" Working Out with a Fab Group of Ladies - Can You Tell Us About That? "I met these amazing girls through the Tone It Up community where we all learn about becoming the healthiest, happiest versions of ourselves. Going to spin class with them not only means making a commitment to myself to improve my health, but also to help support and encourage them in their fitness journey as well." What Is Your Favorite Move on the Bikes? "I would have to say 'Four Corners' and the sprints they make us do - especially because their music selection is always on point with these moves!" Free barre3 Class + Athleta Shopping Event! We love when our favorite shops and studios team up! Join barre3 and Athleta this Saturday at Westfield UTC for an appropriately dubbed "shake and shop." 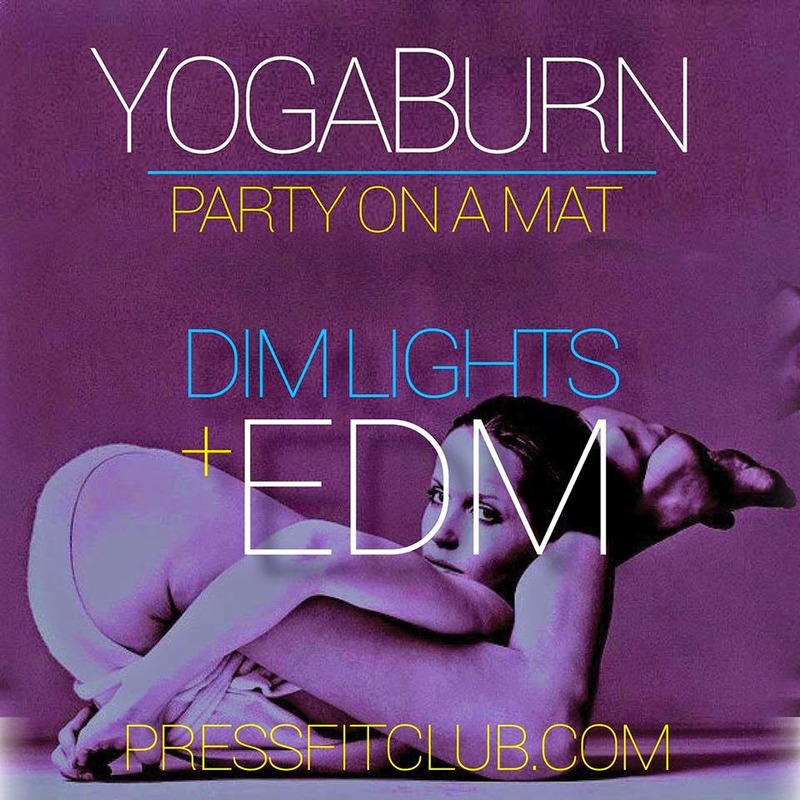 Bring your yoga mat and claim your spot as early as 8am on Saturday, June 27th. The tucking will begin at 9am with a free barre3 class taught by Lauren! Immediately after, enjoy a private and fun shopping event at Athleta. To claim your spot, email utc@barre3.com. All are welcome! Heart & Sweat is here! Our mission from the very inception of this idea, is to create and cultivate connection, fun, and friendship among San Diego's passionate fitness community. It's mind-blowing to see how many of us sweat daily. We perfect our crow pose on the mat, we put ourselves through intense crossfit and circuit-style bootcamp workouts. We're pedaling to hit those high RPMs while grooving to the beat of Uptown Funk, or a killer track from Beyonce. We're exploring our drop-dead-gorgeous backyard, climbing Mt. Woodson and tearing through the Devil's Punchbowl before indulging in a healthy post-hike green smoothie. And we're achieving greatness - crossing the finish line at a 5K, half marathon, or triathalon. 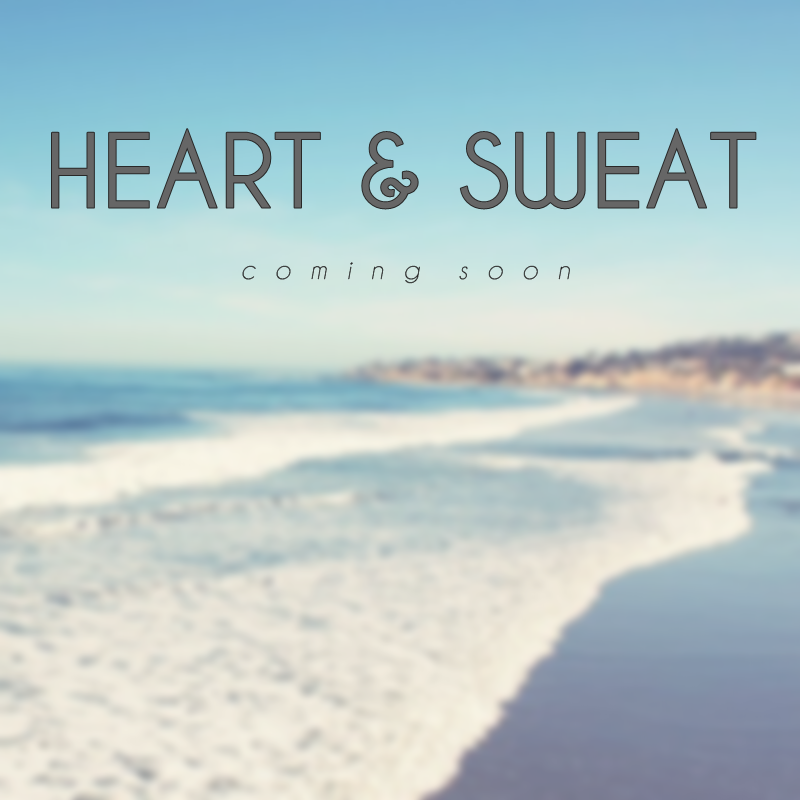 As we grow, we're excited to host energetic fitness events and meetups, and launch a line of Heart & Sweat tank tops! Along the way, we want you to share your adventures and healthy eats with us on Instagram! Tag #heartandsweat. Thank you so much for being here! It's exciting to bring more awareness to classes, workshops, events, and activities in our community. Donations from the two Sunday sessions will benefit Yoga For Hope, an annual event that brings the yogi community together. At City of Hope, patients with life-threatening illnesses are offered gentle, restorative classes to promote relaxation and well-being. Yoga For Hope's goal is to raise money for their cause, continuing to bring awareness to the benefits of practicing yoga.